Garlic (Lasun, Belulli, Veluthulli, Rasuna, Vellay poondoo and Tallagadda) is an important ingredient in many dishes prepared by Hindus. The story of the origin of Garlic in Hindu religion is associated with Samudra Manthan or the churning of the ocean episode. Legend has it that a fight ensued between Asuras (demons) and Devas (demigods) over the Amrut (elixir) that was obtained due to Samudra Manthan or the churning of the ocean. Both started pulling the Amrut pot. Drops of Amrit started falling out from pot due to the pulling. The belief is that Garlic appeared from the drops of Amrit that fell on to the ground. 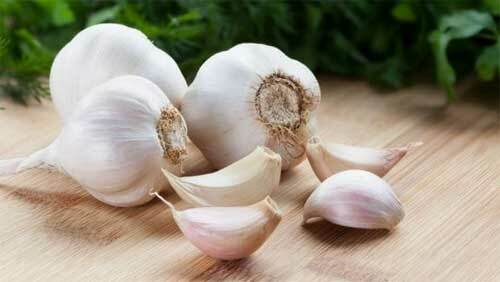 It is believed that garlic has powers to mitigate food poisoning. It also helps in proper digestion.